A recent survey conducted by global human resource agency Randstad revealed that nearly half of Singapore employees are dissatisfied with the training and staff development programs of their employers. For Singapore Company Registration specialist Rikvin, this underscores the need for more employers to leverage the PIC Scheme Guide to motivate employees through personnel development. Randstad’s Q3 2012 “Workmonitor” report entitled “Skills Mismatches and Finding the Right Talent” evaluated the responses of 15,000 employees from 32 countries. Of the 400 Singapore respondents polled, approximately 43% indicated that their employers under-invest in training. The percentage of Singapore employees who are dissatisfied with their training is the highest among survey respondents in the region. According to the survey, staff development appeared to be less of an issue for other Asia Pacific countries. In India, New Zealand and Australia, for example, only 25%, 37% and 38%, respectively, expressed disappointment over the training and education opportunities provided in their workplace. 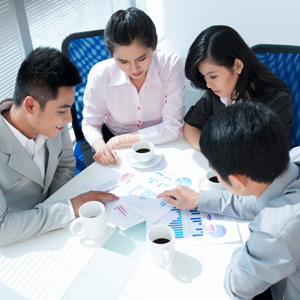 “The Randstad survey should serve as a wake-up call to business owners and managers in Singapore. As business leaders, employee retention is key amid the current talent crunch. Hence, we must demonstrate that our employees that we are committed to their long-term career growth and personal development,” remarked Mr. Satish Bakhda, General Manager and Head of Rikvin Operations. “Studies have shown that when employers under-invest in their employees, the company’s bottom line suffers. The research conducted by Zeynep Ton, Professor of Operations Management at the MIT Sloan School of Management earlier this year, for example, revealed that consistent employee training creates a highly motivated workforce, which in turn increases efficiency and ultimately, improves profitability,” he continued. “SMEs or new entrepreneurs who seek Singapore company formation should take this as an opportunity to restructure their staff development programs. By tapping the PIC scheme, employers can claim a 400% Singapore corporate tax deduction or 60% cash payout for investing in inhouse or external staff training programs. This will allow them to provide sufficient training and education to their employees at optimal cost, while increasing their staff’s capabilities and increasing morale,” he concluded.